most chamorros do not make their own titiyas, they can be bought at many supermarkets and village markets, made fresh daily in small batches by various local individuals. if you have harina de maís, however, you might be tempted to try making your own, as it is very simple and they are very tasty. dissolve ½ teaspoon of salt into one cup of lukewarm water in a bowl. 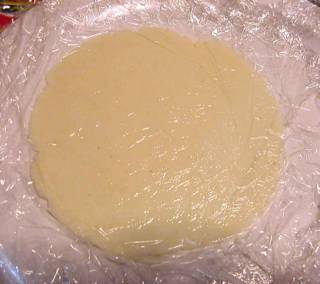 slowly add a cup of harina de maís until a soft dough is formed. 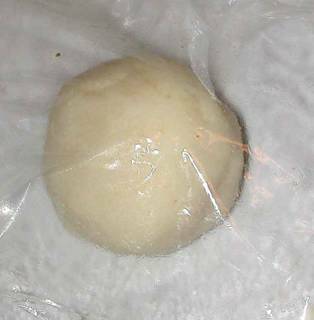 let dough sit for 10 minutes. 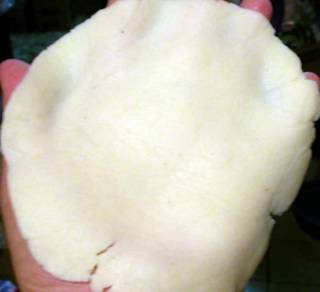 peel off top layer of wax paper or clingfilm, use bottom layer to transfer dough to your hand (exposed side towards palm). peel off second layer. slap that sucker down on a lightly greased hot griddle or charcoal grill, cook until lightly browned. turn over, brown other side. serve warm with lots of butter, or top with a white cheese and broil, or fill with kelaguen. these do not keep long, so only make as many as you can consume in one meal (often more than you think!). Posted by santos. 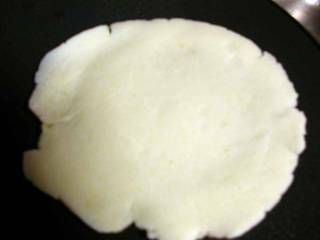 This entry was posted on 20040717 at 10:51 PM You can skip to the end and leave a response. 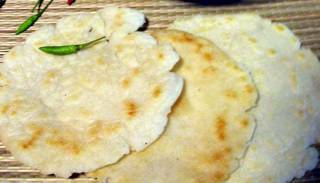 These look a bit like tortillas. What do you normally eat them with?